Monday, January 21 at 10:30am join us at the Frank Fischer Senior Center in Lake Delton for our book discussion on The Hundred-Foot Journey by Richard C Morais. 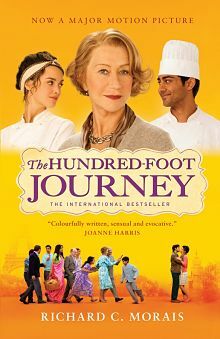 Following the book discussion, we will be showing our Monday Matinee The Hundred-Foot Journey, based on the book, at 12:30pm. Library staff will be at the Frank Fischer Center to provide library services such as check in, check out, hold pickup and reference assistance on Mondays from 10:00am to 3:00pm. Don't forget that ADRC meals are served Monday through Friday from 11:30am to 12:30pm.